This is the twelfth-century castle built on the small hill. The original structure is still intact and well-maintained. Even the decorative paintings and murals are also preserved. Many changes were made within the first couple of centuries. Gates and the outer walls were built over the time. The castle underwent two major renovations during the fourteenth and the eighteenth century. This has resulted in the different architectural influences. Baroque, Renaissance and Gothic styles can be seen today. 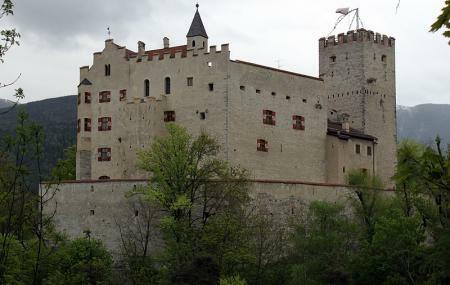 There is also a small museum inside which tells the story of this castle as well as other significant things. Visiting this site is the treat for history buffs. Want to plan a DIY trip? Use Bruneck trip planner for the same. You can add cozy hotels in Bruneck like Hotel Spanglwirt, Hotel Goldene Rose and Aparthotel Panorama. Choose from variety of exclusive Bruneck vacation packages for your next visit or create own own. Check out the various options for how to reach Bruneck and finish off your vacation package by booking the ideal transfer. Love this? Explore the entire list of places to visit in Bruneck before you plan your trip. Fancy a good night's sleep after a tiring day? Check out where to stay in Bruneck and book an accommodation of your choice. How popular is Castello Di Brunico? People normally club together Parrocchia SS Giovanni Battista E Martino and Comune Di Terento while planning their visit to Castello Di Brunico. Very nice place to visit on vacation. So many to choose from. A nice castle, if a little simple compared to others I've been to. It certainly looks picturesque in its position on the hill top (especially lit up at night), and it's a pleasant walk up to it from the town centre or over the bridge from the war cemetery. I'm not sure I'd bother paying for entry, but you get in if you visit the Messner Mountain Museum based inside the castle - and that's definitely worth doing.